Well, I know nothing about electronics. Those parts look to me like interesting beads for brooches or earrings. 🙂 But I’m glad YOU enjoy playing with them in ways that affect your sound. 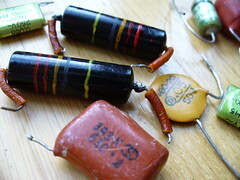 What a great idea, using capacitors as some kind of jewelry! BTW, our word for jewelry is “Schmuck”, but it seems to mean something different in your language… funny. Anyway, I’m sure you’d find a pair of caps that would suit you! I have an entry level Les Paul and a Custom Shop Les Paul; although nothing vintage like you picture above. Yesterday I opened the backs of each and photographed them to do a post comparing what’s inside under the assumption the custom shop unit will have better stuff than the lower end model. Thanks for this treatise on tone. Makes me realize I need to do a lot more research before I can do that post! I have a 1980 les paul custom. Some of the best sounds it produces are when the tone circuit is completely removed and the tone pots are used to gradually earth one of the coils which results in a fat P90 sound. Makes it a versatile guitar, although i do miss the option of humbucker with tone rolled off. On my Yamaha RGX, i experimented with different caps and settled on a mylar operated by a switch – after all who uses a tone pot halfway ? 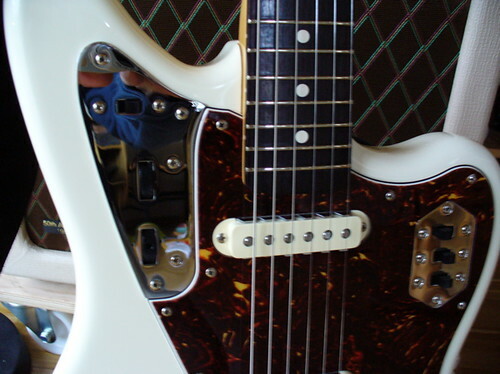 By the way, – nice looking jaguar but what are the resonance strings ? I do use a tone pot halfway! I find different shapes of tone very interesting if a quality cap is provided – but your description of using a tone pot to gradually shift from humbucker to single coil sounds interesting, too. It’s a matter of personal taste whether the usual tone circuit is useful for you, and there are many ways to achieve a good sound. I personally like oil/foil caps best, because they give a smooth sound without ending up dull and low when the pot is turned down. The “resonance strings” of the Jaguar are not really resonance strings. But compared to a Les Paul e.g., there is a rather long distance between the bridge and something like a stop tailpiece. These extra “strings” make remarkable noise, and, like a spring reverb, they continue resounding when a chord is stopped. So they have a formative impact on the sound. hey, great blog. just upgraded my hamer standard with a gibson 496/500t. it’s a harsh pickup. love the chunk though. want to warm it up a bit and get a more spongy tone (more like a bridge position single coil). have decided to gut the inside and put in new pots and such. trying to pick the right capacitor to get a warmer tone. any suggestions? i just read the standard 0.47’s are too big and don’t give you much range. thanks. the value of the cap indicates how much trebble will be rolled off and fed to ground. the .47 will roll off quite a bit of highs, leaving only lows, when the tone pot is turned down all the way. what ive found is, that most tone pots are audio taper/logrithmic. meaning, you turn and turn without much result, then wham! you have a ton of roll off, and the tone is very muted, usually within the last 1/4 turn or so of the pot. and often, TOO muted, and can actually choke off the overall volume. this type of pot works great as a volume pot, as you can turn it down gradually, and decrease the drive, without loosing actual “volume”. but in a tone position, it doesnt give you much control at all, as 3/4 of the pot doesnt do much. try replacing the tone pots with Linear taper pots, (500k for humbucker guitars, 250k for single coils) for a smoother roll off, and therefore, more control. a .47 cap will give you the widest range of trebble roll off available, with a linear pot, and its much more controlable. another thing i do with all my guitars, is i add a .001 cap across the volume pot. (one leg to the “input” the other leg to the “output”, but NOT to ground). this will slightly ‘boost” (although, not really) the highs, (by actually rolling off a tad of the lows, which can be made up with the amp’s tone controls) and more importantly, retains the highs when backing off on the volume control. alot of times, backing off on the volume can muddy up the tone. add this cap, and it wont. i havent had the chance of trying different cap TYPES, but i have experimented in values. from a .22 to .47 and beyond. the values can make a big difference on how much “tone” you actually get. a .22 will leave you with a more midrangy tone, and a .47 will be all lows. its the type of POT that has made the biggest difference IMO. go with the highest value, for the most “tone” and use a linear taper tone pot. im totaly digging the tone switches on the jag. i have added a vari-tone switch to my Epiphone Sheraton to give me 6 different tone options, as well as a “regular” tone pot. very versitile. ive read that there are ways to customise the value of a tone circuit, by adding different value caps in series, or in paralell, depending on whether you want more or less “tone”. in paralell, the caps are additive (although not 1 to 1, theres some weird math involved, and with the amount of tollerance built into the caps, its impossible to do the math, and have any idea of what the final value will be. 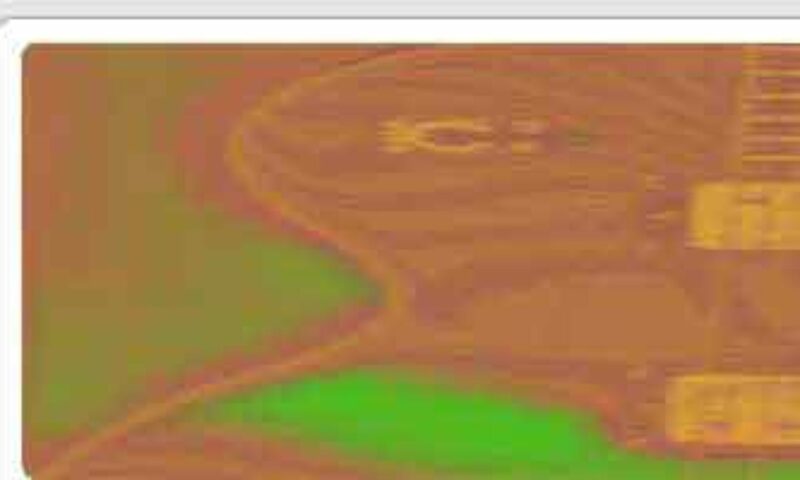 but you can take a good guess) and in series, its subtractive. in other words, for example, take a .47 cap. when rolled off all the way, the sound can get choked off, and you loose drive. in theory, you can add a cap (say, .005, or something… im guessing) in series, and raise the cap value to around .40, and now when rolled all the way, itll give you a fully muted tone, but not choke the output. or take a .33 cap, add a.005 (again, im guessing) in paralell, and you should be somewhere near .40, and get the same result. i havent tried this in a guitar, but i HAVE tried in in a wah wah mod, and it actually works. the results arnt dramatic, but they CAN taylor in a tone your actually looking for, if you paitient enough to experiment. another thing i like to do, is replace the tone pot with a linear PUSH/PULL pot! NOW you can lift up on the pot, and take the tone circuit completly out, and it will increase drive, and high end! its the ultimate IMO! Nein aber jetzt mal ernsthaft, hab länger gebraucht einen wirklich guten Artikel zu diesem Thema zu finden – gibt da leider nicht so viel. Vielen Dank also, gefällt mir wirklich gut!